Red Umbrella -- 3D Wall Art by Gosh & Golly on Etsy. 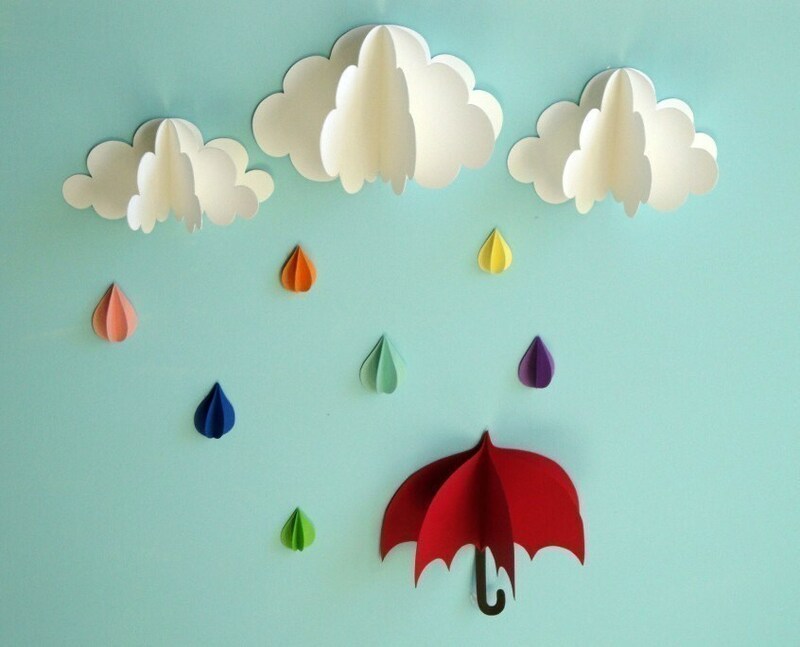 "Rainbow-colored raindrops fall from the clouds above a little red umbrella in this adorable 3D wall art. arrange them however you want and can be moved as often as you like.